Photo courtesy of Mark LeeNick Ziobro works with Michael Feinstein in a master class at the singer's boot camp in Indianapolis on Thursday. Carmel, Ind. 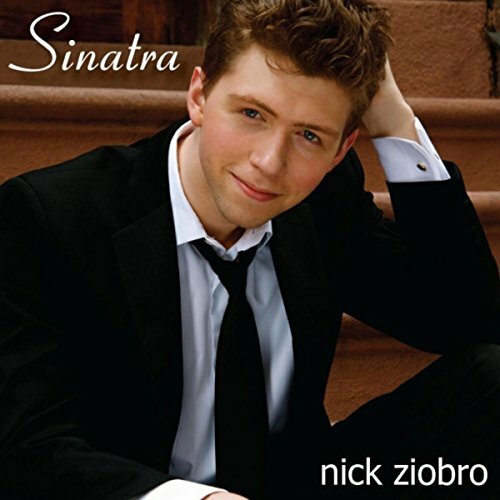 -- Fayetteville-Manlius High School sophomore Nick Ziobro won the Great American Songbook Vocal Academy & Competition Friday night in Carmel, Ind. Ziobro, 15, was one of 10 finalists participating in the only competition in the country based solely on music from Broadway, Hollywood musicals and the Tin Pan Alley era of the early to mid-20th century. Since Tuesday, the Manlius teen has learned to interpret and perform music from the Great American Songbook and attended workshops on breathing and microphone techniques, one-on-one coaching and master classes. 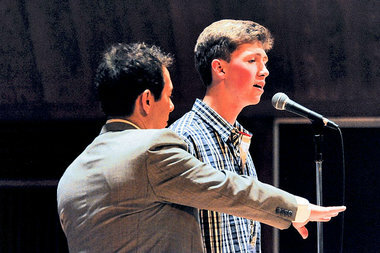 Singers Michael Feinstein, Sylvia McNair and Sandi Patty worked with students in preparation for the Friday competition. Friday night, Ziobro and the finalists sang a group number with Feinstein and Patty before he gave his solo performance in the competition. He sang “All of Me” and “Here’s That Rainy Day,” by the late composer and Syracuse native Jimmy Van Heusen. His mother and grandparents, Janet and Ed Weidman, of Old Forge, were in the concert hall when he steps onstage. Nick Ziobro is an actor, known for Last Pick-Up (2018) and American Songbook at NJPAC Hosted by Michael Feinstein (2017). (2015) Debut CD: "A Lot Of Livin' To Do"
Yes, Michale Buble watch out. And did you see how tall he was, he dwarfed Michael Feinstein. Oh, yes, I noticed that. However, I do not find any resemblance of his singing to Frank Sinatra's.